Vijayadasami also known as dussehra and it is one of the main festival of Hindus. Vijayadashmi is celebrated on the tenth day of Shukla Paksha of Ashwini month according to lunar calendar. It falls in September or October. Vijayadashmi is on 24 October in 2012. dussehra is celebrated after the Navratri on the 10th day of the Navratri. The first nine days are celebrated as Maha Navratri or Sharad Navaratri and on the tenth day is celebrated as dussehra. The Navaratri festival is celebrated in order to proclaim the power of the goddesses to the world. 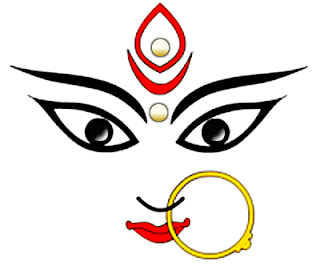 In Navaratri Goddess Durga is worshipped as Shakti, Lakshmi and Parvati. dussehra is a symbol of sacrificing all the evil deeds, anger, ego, violence. Dussehra is one of the most auspicious date of the year. People believe that everything started in this day will be successful so many new projects, inaugurations, business will occurs on this day. Purchasing new vehicle, electronic item, gold and clothes on this day is also considered auspicious. Dussehra is derived from Sanskrit Dasha-hara means remover of bad fate meaning remover of ten heads of Ravana. Lord Rama killed Ravana. Performances of the Ramlila is observed in some parts across the world. In Maharashtra this festival is also known as Sima Ullanghan. In the evening demon Ravana was made with the broom sticks has been burnt. People go for the temple and pray the god and get the leaves of the Shami/Jammi tree These leaves are exchanged among friends and relatives as gold. The other story behind the Dussehra is when Pandavas went to exile they kept their weapons on the Shami/Jammi tree. Arjuna with help of Uttara Kumara took the weapons from the Shami/Jammi tree. The Shami/Jammi tree helped to Pandavas during their exile the weapons are looks like a dead man chest to others.